Over 400 artworks from some of France’s most prestigious museums are to be exhibited in smaller, less-visited establishments around the country, including pieces by Van Gogh and Goya. Culture minister Françoise Nyssen has confirmed that from September this year, 477 works will travel across France to areas with fewer high-profile pieces, in an initiative aimed at improving what she has called “cultural white zones” or deserts. Historically, more prestigious artworks have not been able to travel far, due to budgetary constraints of smaller museums, and a “closed-shop” effect seen among many of the big museums. But now, the government has allocated six million euros to help support and promote the plan. The works will come from 25 national museums and galleries and will stay at a variety of small, provincial museums, galleries, mairies, libraries and cultural centres in a bid to boost tourism in these areas and share the country’s cultural heritage. The art will stay in its new home for between six months and a year, allowing the establishments in question to capitalise on their new works and incorporate them into a proper exhibition programme. Works set to go on tour include “Encampment of Gypsies with Caravans in Arles” by Van Gogh (normally in the Musée d'Orsay), “Portrait of a Lady with a Fan” by Goya (normally in the Louvre), and “Bellboy” by Soutine (normally in the Pompidou Centre). 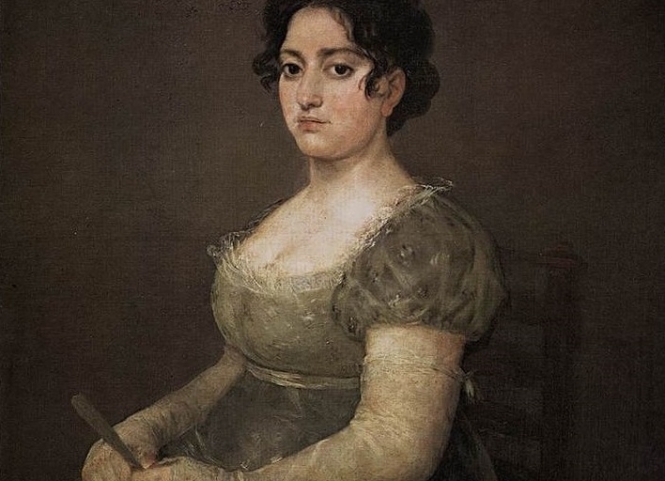 The Goya work has already been confirmed as going to the Beaux-Arts Museum in Agen; while “Self-Portrait” by Clémentine-Hélène Dufau - normally in the Musée d'Orsay in Paris - will go to the Edmond-Rostand Museum in Cambo-les-Bains (Pyrénées-Atlantiques). Objects set to travel include a painting trowel belonging to writer and designer François Cavanna, and old toys belonging to the former Formula 1 driver Alain Prost. Jean-François Demarchi, vice-president of the community including the Museum of l’Abbaye de Saint-Claude in the Jura, which receives 12,000 visitors per year, said: “This [project] is our way of receiving public recognition that we normally would not have. Valérie Pugin, director of the museum, highlighted the long-term lending of the artworks as a key advantage.